We have reached the penultimate conference preview with the Pac-12 in focus this week. We will start with the Pac-12 North on Tuesday and finish with the Pac-12 South on Friday. The Pac-12 North is part sixteen of the Sports Enthusiasts 2015 College Football Preview. Below are the previews that have already been completed and the few that are to be completed. Let’s get started by looking at each team in the Pac-12 North. Oregon is well known for their flashy uniforms, but they have a pretty darn good football team as well. Since 2009, when Chip Kelly was head coach, the Ducks have won at least 10 games ever year and made the National Championship twice. However, they lost both games including last year’s to Ohio State, 42-20. 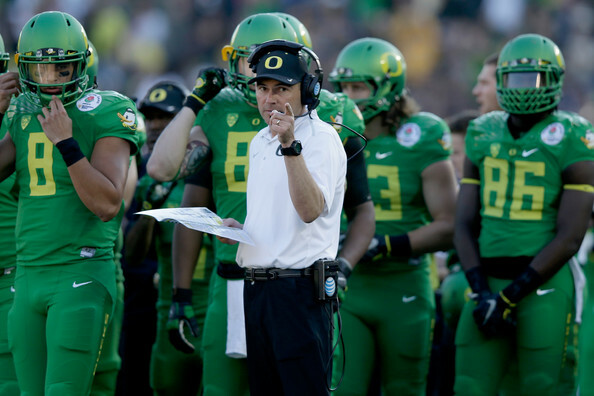 Mark Helfrich has continued the success started by Kelly, but can he get them to the ultimate conclusion with a National Championship? The offense has six starters returning from a group that put up 45.4 points and 547 yards per game. Of course, Marcus Mariota is not one of the returning starters, but the Ducks do add in Eastern Washington transfer Vernon Adams. Adams is very much like Mariota with his ability to throw and run while knowing how to play against Pac-12 competition. At EWU, Adams faced Washington State, Oregon State, and Washington. In those three games, he beat Oregon State 49-46 and lost to the Cougars and Huskies by a combined 11 points. Royce Freeman will be back to run the ball after rushing for 1,365 yards and 18 touchdowns. The receiving unit returns intact with the top five all coming back. Byron Marshall had 74 catches for 1,003 yards and 6 touchdowns (ran for 392 yards and a touchdown as well), Darren Carrington had 37 catches for 704 yards and 4 touchdowns, Devon Allen caught 41 passes for 684 yards and 7 touchdowns, and Dwayne Stanford had 43 catches for 639 yards and 6 touchdowns. Returning at wide out is Bralon Addison, who missed all of 2014. Only two starters are back on the line from 2014, but Tyler Johnstone returns from a torn ACL, which basically gives them three. The drop off from Mariota will be present, but it will not be nearly as bad with Adams coming in. Expect more high-flying offensive production from Oregon in 2015. The defense has six starters back from a group that allowed 23.6 points and 430 yards per game. The line returns two starters led by DeForest Buckner, who was a monster last year. Buckner recorded 81 tackles (tied for fourth most on team), 4 sacks, 9 tackles for loss, and 4 pass breakups as a defensive end. Three linebackers return this year in Rodney Hardrick (75 tackles, 1 sack, and 5 tackles for loss), Joe Walker (81 tackles, 1 sack, and 7 tackles for loss), and Tyson Coleman (44 tackles, 3 sacks, and 4 tackles for loss). There is just one starter back in the secondary and that is Reggie Daniels. Daniels is the top returning tackler after recording 83 tackles, 1.5 tackles for loss, 9 pass breakups, and an interception in 2014. The defense will probably put up slightly better numbers in 2015. Oregon opens the season with a home game against Vernon Adams’ former school in Eastern Washington. They will have a tough road trip to Michigan State in the second game before welcoming Georgia State home in the final non-conference game. In division, Oregon will face Washington State, California, and Oregon State at home while taking on Washington and Stanford on the road. Oregon will have to play Utah (home), Colorado (road), Arizona State (road), and USC (home) from the South. Once again, the Ducks are a contender for the Pac-12 title and a spot in the College Football Playoff. Stanford was completely turned around under Jim Harbaugh. In 2006, the year before Harbaugh took over, the Cardinal went 1-11. By 2010, Harbaugh led Stanford to a 12-1 record including a demolition job of Virginia Tech in the Orange Bowl that year. David Shaw has done a very nice job continuing that success, as he led the Cardinal to three straight double digit win seasons in 2011, 2012, and 2013. In addition, Shaw led them to three straight BCS Bowls before the bump in the road during 2014 when the Cardinal finished 8-5. The offense has nine starters returning from a group that put up 27.2 points and 389 yards per game. Kevin Hogan will be under center again after throwing for 2,792 yards with 19 touchdowns and 8 interceptions. Remound Wright had 601 yards and 11 touchdowns as the top rusher last year and he returns along with Barry Sanders Jr. (315 yards) and Christian McCaffrey (300 yards). The wide receiver group returns nearly intact except for Ty Montgomery, who led the team with 61 catches for 604 yards and 3 touchdowns. Devon Cajuste had 34 catches for 557 yards and 6 touchdowns, Austin Hooper had 40 catches for 499 yards and 2 touchdowns, and Michael Rector had 24 catches for 324 yards and 2 touchdowns. Four starters are back on the offensive line and the offense should be able to have a better year on offense. The defense has been very good for Stanford the last five years. The “worst” season was in 2011 when they allowed 21.9 points and 338 yards per game. In 2014, the defense allowed 16.4 points and 282 yards per game with seven starters back. In 2015, only four starters return, which is the lowest number in at least 8 years. The defensive line has no starters returning, but Brennan Scarlett has transferred in from Cal. Linebacker is in much better shape than the line with two starters back. Blake Martinez is back after recording 102 tackles (#1 on team), 4.5 sacks, 2.5 tackles for loss, and 3 interceptions. Kevin Anderson also returns after recording 52 tackles, 5.5 sacks, and 6 tackles for loss. The secondary has two starters back in Ronnie Harris (29 tackles and 5 tackles for loss) and Zach Hoffpauir (44 tackles, 4 tackles for loss, and 5 pass breakups). The defense is a bit of a concern and will probably not match even the “worst” defensive season on 2011. However, the defense will still be good for Stanford. Stanford starts the season on the road at Northwestern before a home game against Central Florida. Their final non-conference game is on November 28 at home versus Notre Dame. Within their division, Stanford will face Oregon State and Washington State on the road while playing Washington, Oregon, and California at home. From the South division, the Cardinal draw USC (road), Arizona (home), UCLA (home), and Colorado (road). Stanford will probably be a win over Oregon away from the Pac-12 Championship Game and should get back to a double-digit win season in 2015. Sonny Dykes will be in his third year at Cal in 2015. Both sides of the ball are trending in the right direction and the 2015 squad will be his most experienced. In 2013, Cal had just 10 returning starters and went 1-11. The number of returning starters went up to 14 last year, as did the record to 5-7. This year has 17 starters returning and will the pattern continue? The offense went from 23 points and 454 yards per game in 2013 (five starters back) to 38.3 points and 495 yards per game in 2014 (nine starters back). There will be eight starters returning this year including all the skill positions. Jared Goff threw for 3,973 yards with 35 touchdowns and 7 interceptions and he will have all but one of his top ten receivers from 2014 to throw to. Kenny Lawler led the team with 54 catches for 701 yards and 9 touchdowns, Stephen Anderson caught 46 passes for 661 yards and 5 touchdowns, and Bryce Treggs had 52 catches for 583 yards and 6 touchdowns. Daniel Lasco is back after rushing for 1,115 yards and 12 touchdowns. The offensive line has three starters back and it would be no surprise to see the numbers go above 40 points and 500 yards per game in 2015 for Cal. The defense allowed 45.9 points and 503 yards per game with five starters back in 2013. In 2014, the defense allowed 39.8 points and 512 yards per game with five starters back once again. For 2015, the defense has nine starters back including 12 of the top 13 tacklers from last season. The defensive line has three starters back led by Mustafa Jalil, who had 35 tackles, 1.5 sacks, and 4 tackles for loss. The linebackers all return with the trio of Michael Barton (80 tackles, 1.5 sacks, and 6 tackles for loss), Hardy Nickerson (69 tackles and 2 tackles for loss), and Jalen Jefferson (58 tackles, 2 sacks, and 4.5 tackles for loss). Three starters return in the secondary led by Cedric Dozier (52 tackles, 1 tackle for loss, and 5 pass breakups) and Stefan McClure (50 tackles, 1.5 tackles for loss, and an interception). Also returning from injury is Griffin Piatt, who had 40 tackles, 1 sack, 6 pass breakups, and 3 interceptions in only six games before an injury forced him to miss the rest of the season. Expect another improvement in the defense in year three of Sonny Dykes’ tenure. California opens with home games versus Grambling and San Diego State before a stern test on the road at Texas. Within the North division, Cal will face Washington, Oregon, and Stanford on the road while playing Washington State and Oregon State at home. From the South, Cal draws Utah (road), UCLA (road), USC (home), and Arizona State (home). Cal has not made a bowl game since 2011, but that should change in 2015 with this improved team. Mike Leach was hired by Washington State late in 2011 to coach the team. Leach had previously coached at Texas Tech from 2000 to 2009 and led the Red Raiders to a bowl game each year. Leach’s first year was in 2012 and the Cougars went 3-9, but improved to 6-7 in 2013 with a bowl appearance (lost 48-45 to Colorado State). Last year, the Cougars went back down to 3-9 and 2015 must produce a better result. Leach’s offense are known for putting up big points and 2014 was the best year under Leach for WSU. The offense put up 31.8 points and 518 yards per game with seven starters back. This year, the number of starters returning goes up by one, to eight, but quarterback is not one of them. Connor Halliday threw for 3,873 yards with 32 touchdowns and 11 touchdowns in nine games, but departs while his heir apparent Luke Falk threw for 1,859 yards with 13 touchdowns and 7 interceptions. The running game is usually not a strong suit for Leach, but the rushing attack has been poor in his three years at WSU. 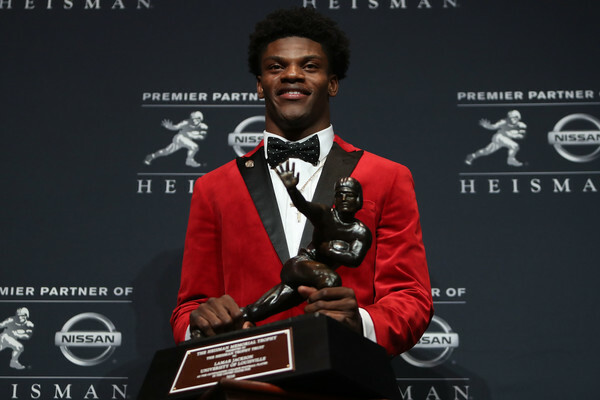 The best output is 53 yards per game in 2013 and was only 40 yards rushing per game in 2014. Jamal Morrow is back after leading the team with 351 yards and Gerard Wicks ran for 234 yards and 4 touchdowns. The top two wide receivers depart (combined for 184 catches for 2,455 yards and 21 touchdowns), which will hurt, but the good thing about the Air Raid offense is that receivers always do well. River Cracraft had 66 catches for 771 yards and 8 touchdowns, Dom Williams caught 43 passes for 656 yards and 9 touchdowns, and running back Jamal Morrow had 61 catches for 460 yards. Also in the mix will be Robert Lewis (41 catches for 370 yards and 2 touchdowns), Tyler Baker (27 catches for 308 yards and 2 touchdowns), and Gabe Marks (74 catches for 807 and 7 touchdowns in 2013). The entire offensive line returns intact and despite the losses of the top two receivers and quarterback, the offense has a chance at topping last year’s production. The defense has been a liability under Leach. In 2012, they allowed 33.7 points and 426 yards per game while they gave up 32.5 points and 458 yards per game in 2013. Last year, the defense regressed by surrendering 38.6 points and 442 yards per game. This year, six starters return with one on the defensive line in Destiny Vaeao (14 tackles, 2 sacks, and 1.5 tackles for loss). Two linebackers return in Jeremiah Allison and Kache Palacio. Allison was the second leading tackler with 78 tackles and also recorded 3.5 sacks and 5 tackles for loss. Palacio had 57 tackles, 6.5 sacks, and 2.5 tackles for loss. The secondary will have three starters back in Darius Lemora (68 tackles), Charleston White (34 tackles, 13 pass breakups, and an interception), and Taylor Taliulu (66 tackles and 4 pass breakups). The defense should improve from last year’s poor performance and could produce the best defense yet under Leach. Washington state has an easy non-conference schedule with Portland State (home), Rutgers (road), and Wyoming (road). WSU will face California, Oregon, and Washington on the road while playing Oregon State and Stanford at home. From the South, they will take on Arizona (road), Arizona State (home), UCLA (road), and Colorado (home). The final two weeks of the season could determine if the Cougars reach a bowl game with games versus Colorado and Washington. Steve Sarkisian was the head coach at Washington from 2009 through 2013, leading the Huskies to four bowl games in five seasons. He left for USC and in came Chris Petersen for the 2014 season. Petersen went 8-6 in his first year after eight years at Boise State. How will Petersen and the Huskies perform in 2015? The offense has five starters returning from a group that put up 30.2 points and 389 yards per game. The top returning quarterback is Jeff Lindquist with 162 yards and a touchdown. He will be battling with KJ Carta-Samuels and Jake Browning to win the job. Dwyane Washington ran for 697 yards and 9 touchdowns while Lavon Coleman had 565 yards and 1 touchdown with both returning this year. The top four receivers are back led by Jaydon Mickens, who had 60 catches for 617 yards and 4 touchdowns. Also returning are John Ross (17 catches for 371 yards and 4 touchdowns), Joshua Perkins (25 catches for 315 yards and 3 touchdowns), and Dante Pettis (17 catches 259 yards and a touchdown). The offensive line has only one returning starter and the offense will have some growing pains in year two with the losses at quarterback and on the line. The defense was solid last year allowing just 24.8 points, but giving up 411 yards per game. This year, the defense has only four starters back. The defensive line has no starters back from a unit that allowed 124 yards rushing per game. At line backer, only Travis Feeney returns after recording 60 tackles, 1 sack, 3.4 tackles for loss, and 2 interceptions. The secondary is the strength this year with three starters back led by Budda Baker. Baker had 80 tackles (#4 on team), 1 sack, 6 pass breakups, and an interception. Kevin King (65 tackles and an interception) and Sidney Jones (61 tackles, 2.5 tackles for loss, 5 pass breakups, and 2 interceptions). The defense will be much like the offense with growing pains and may not match their points per game number from 2014. Washington opens with Boise State on the road, in a game that is sure to be fiery. After that, they will welcome both Sacramento State and Utah State to Seattle. In division, Washington faces California, Oregon, and Washington State at home while taking on Stanford and Oregon on the road. From the South, the Huskies will face USC (road), Arizona (home), Utah (home), and Arizona State (road). The Huskies will probably need an upset or two to reach a bowl game and it could come down to the regular season finale against Washington State at home to get to 6 wins. Mike Riley was at Oregon State from 2003 through last season, but decided to move on to Nebraska. Filling the vacancy was Gary Andersen, who was previously at Utah State (26-24 record) from 2009 through 2012 and then at Wisconsin in 2013 and 2014 (19-7 record). Andersen does not inherit the best situation, but he is known for his work on defense, which will come in handy this year. The offense has eight starters back from a group that put up 25.7 points and 394 yards per game. Sean Mannion has graduated and that leaves Seth Collins, Nick Mitchell, and Marcus McMaryion to battle it out for the top spot with none of them having thrown a pass in college. Storm Woods will be the running back after rushing for 766 yards and 5 touchdowns. Three of the top four receivers return in Victor Bolden (72 catches for 798 yards and 2 touchdowns), Jordan Villamin (35 catches for 578 yards and 6 touchdowns), and Hunter Jarmon (20 catches for 334 yards and 1 touchdown). The offensive line has four starters back as well, but the change in schemes and lack of experience at quarterback will hurt the offense. The defense was poor the last two years of Riley’s tenure. They allowed more than 31 points and 400 yards per game in both 2013 and 2014. This year, only two starters return making the transition difficult for Andersen. Jaswha James is back after recording 16 tackles, 1 sack, and 1 tackle for loss last year while Lavonte Barnett had better stats in only four starts. Barnett recorded 18 tackles and 4.5 sacks last year. The linebackers were decimated with the top three all gone. Those three were the second, third, and fifth leading tacklers last year and the top returner is Rommel Mageo, who had 23 tackles. The secondary has only one starter back in Larry Scott (43 tackles, 2 tackles for loss, and 11 pass breakups), but also have Justin Strong returning (56 tackles, 1 sack, 4 tackles for loss, and 3 pass breakups). Andersen has solid defenses, but a lot was lost this year and it may not perform better this year in the numbers. Oregon State has Weber State (home), Michigan (road), and San Jose State (home) to start the year. In conference, OSU has Stanford and Washington at home while playing Washington State, California, and Oregon on the road. From the South, OSU will play Arizona (road), Colorado (home), Utah (home), and UCLA (home). It looks like a rough year is store for Oregon State in Andersen’s first year. The Pac-12 North will likely come down to the Oregon at Stanford game on November 14 to determine the winner of the division. California appears to be the third best team in the division while the trio of Washington State, Washington, and Oregon State will battle for bowl eligibility and to stay out of the cellar. Below is the predicted order of finish. Check back on Friday to see a preview of the Pac-12 South as well as a prediction for the Pac-12 Championship Game.